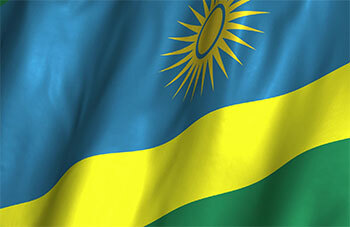 Rwanda, Officially the Republic of Rwanda, is a sovereign state in central and east Africa. Located a few degrees south of the Equator, Rwanda is bordered by Uganda, Tanzania, Burundi, and the Democratic Republic of the Congo. Acefreight Logistics Limited provides our esteemed clients in Kigali, Rwanda with Air, Sea and Land Freight logistics and solutions in NVOCC and cargo consolidation Kigali, Rwanda, car importation through the port of Mombasa and delivery, Warehousing & distribution Kigali, Rwanda, Air and Sea freight, handling Dangerous and Perishable goods, Parking and Removals and just some of the services offered by Acefreight Logistics Limited. Acefreight Logistics Limited offers a wide array of air and land services to Kigali, Rwanda from all over the world. Our safe pair of hands will ensure that all your inbound cargo will be safely delivered in all cities and towns in Kigali, Rwanda. Our vast experience enhanced by highly competent staff will ensure that you get the most comprehensive, appropriate and reliable services for your air, sea and land freight logistics in Kigali, Rwanda.